An utmost favorite in our accessory wardrobe. All year long. But NOW, most of all! They are a seasonal necessity, yes, but can still spark creativity and showcase personal style. Have fun. Be playful. Own that scarf and the vibe it evokes. Giving you a glimpse into the colorful cast of characters in our lives, LC and I engaged in a UNISEXXXY DIVA Challenge: Choose the personality. Play the part. 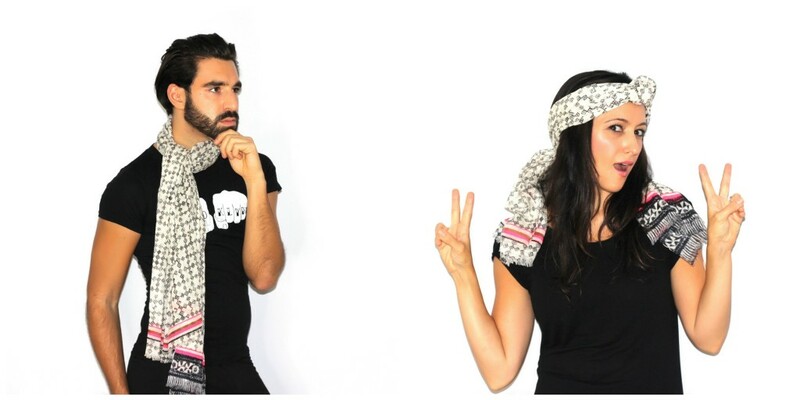 We took 7 different scarves and styled them our way. For him and for her. Ready for your role play?! Allow yourself some freedom. The freedom of expression. Expression through fashion. And of course, let us know who and what inspires your scarf styling.